The Federal Housing Administration (FHA) has traditionally confined its origination, asset management, and disposition strategies to individual asset types: single family, multifamily, co-ops, etc. Increasingly, the Department is being encouraged to explore the relationship between different parts of its portfolio and across asset types so as to maximize portfolio performance and the return on the taxpayers investment. For example, to what extent do disposition strategies on the assigned single family mortgages impact the performance of the single family insurance-in-force portfolio? How do single family disposition plans affect the multifamily portfolios? "Place-based" asset sales could potentially be of particular value in maximizing the overall return to the FHA Fund in communities that are lagging economically and where FHA has a large financial investment. structure the award of bids to consider "two-tests:" (1) the monetary bid for the loans; and (2) other items of value that increase the overall return to the FHA Fund and the taxpayers. consider the idea of creating neighborhood community dispositions which auction single family and/or multifamily assets on a competitive placed-based basis. offer modified servicing instructions for particular geographic areas or consider other actions that would mitigate losses on mortgage insurance to finance. The Department believes it can learn a great deal about optimal disposition methods from those who know best the varying aspects of FHA's portfolio, including asset type, assigned and insured mortgages and real estate owned. How do you intend to manage and liquidate this portfolio, and what impact are those activities anticipated to have on the community where the specific "pool" is located? What impact do you believe your plan will have on the entire FHA portfolio (Insured, Assigned, REO for both SF and MF) in the immediate location of the specific "pool?" Based on the fact that FHA has multiple product types located in communities throughout the country, are there alternative disposition methods (such as disposition on a neighborhood basis as opposed to MF or SF sales) to which your company could provide for a better return on the overall FHA portfolio in that community; and if so, what would they be? While the information above is requested on at least one of the aforementioned pools, it will not be used for the purposes of determining the winning bidder, and your submission is voluntary. Pools will be awarded solely based on a financial bid. The Department intends to use the information in developing future loan sales strategies. 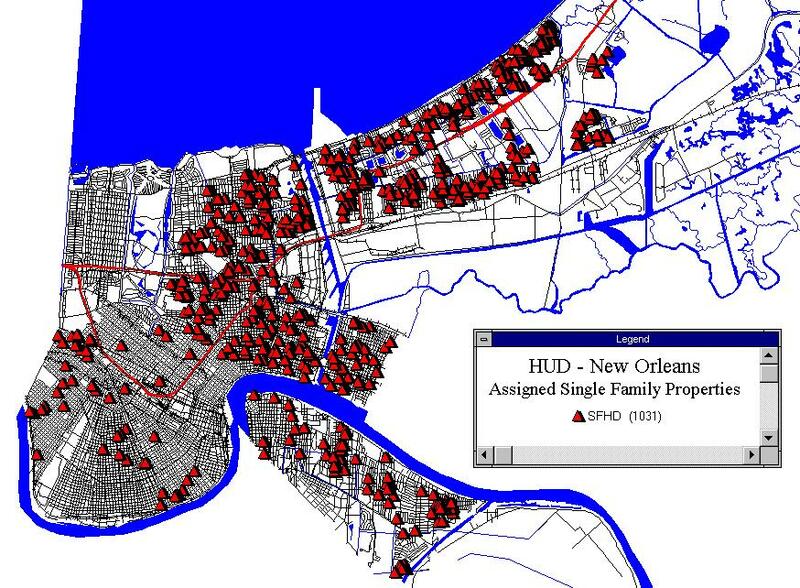 NOTE: Each map legend lists the number of properties in each category. In a couple of instances, the mapping software was unable to locate an address in it's database which specifically matched a property address. 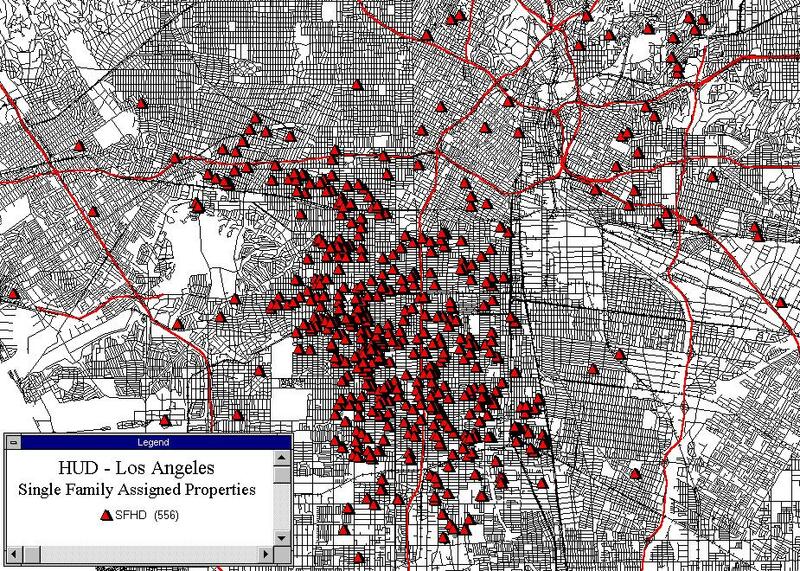 In such cases, the property was omitted from the map. Multifamily Property Listings - The supplemental package also includes spreadsheets of FHA Insured, Held and Owned Properties in each community. 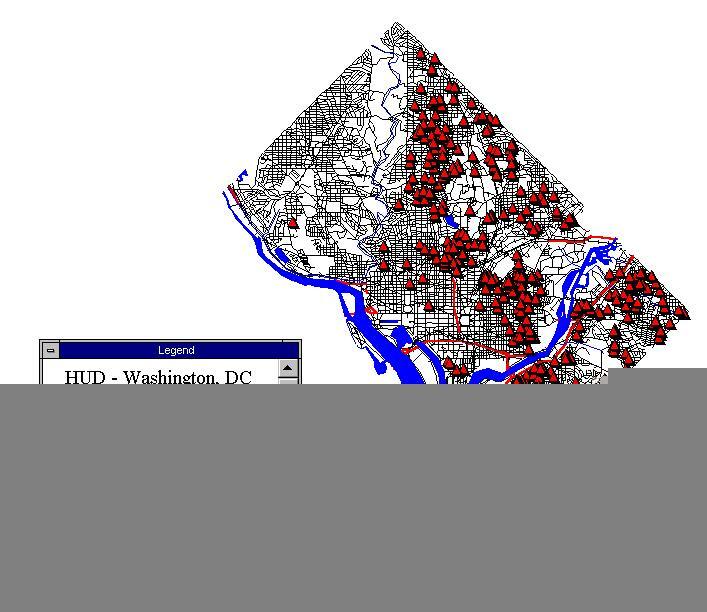 This listing also identifies whether the property or collateral receives HUD subsidies. 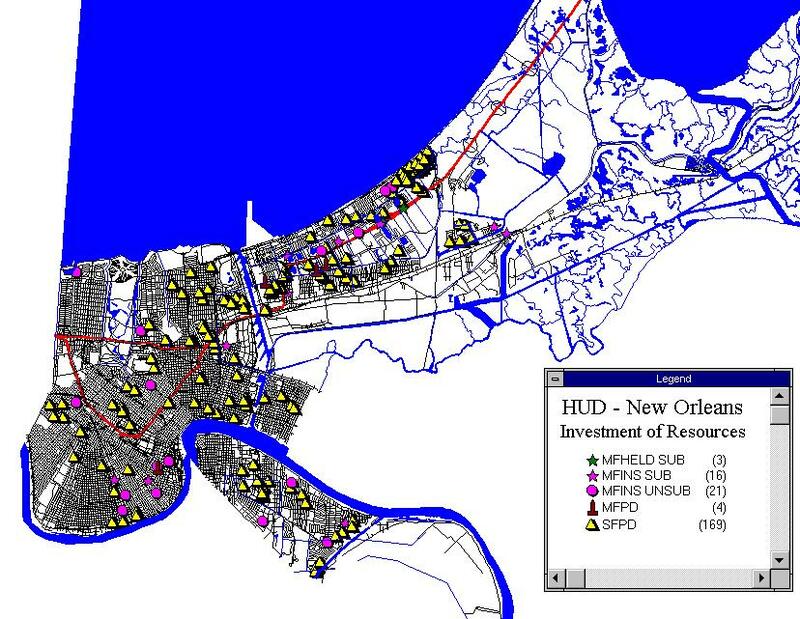 For the purposes of this project, a subsidized property is a property with project-based Section 8. Multifamily Insured (MFIN) - a multifamily mortgage which FHA insured under any of its insurance programs. In some cases these collateral properties will have rental subsidies attached to them. 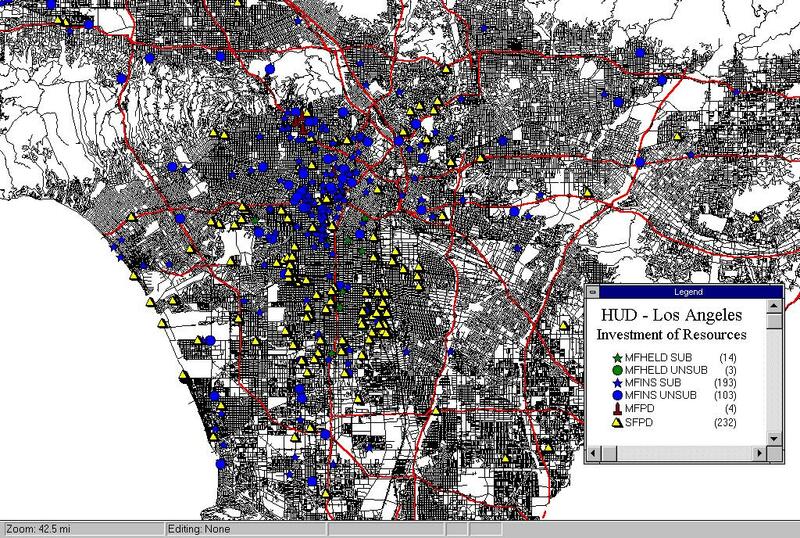 These are identified in the map legend as MFIN SUB for Multifamily Insured Subsidized and MFIN UNSUB for Multifamily Insured Unsubsidized. Multifamily Held (MFHD) - this is a multifamily mortgage to which FHA originally issued mortgage insurance and has since paid the claim. In some cases these mortgages have collateral properties with rental subsidies attached to them. 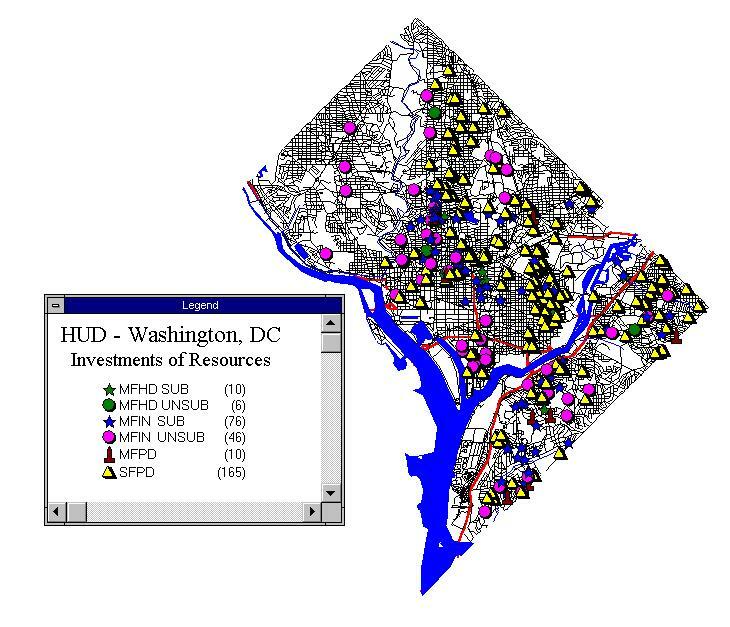 These are identified in the map legend as MFHD SUB for Multifamily Held Subsidized and MFHD UNSUB for Multifamily Held Unsubsidized. Multifamily Owned (MFPD)- this is a multifamily property to which FHA originally issued mortgage insurance and has since paid the claim and has foreclosed on the collateral. Single Family Held (SFHD) - this is a Single Family mortgage to which FHA originally issued mortgage insurance and has since paid the claim. It is currently the holder of the note on the property. Single Family Owned (SFPD) - this is a single family property to which FHA originally issued mortgage insurance and has since paid the claim and foreclosed on the collateral. A "place" may be a neighborhood, a zip code, a city, or even a region. The objective in defining a place is to select a geographic area where the economics of the individual properties are tightly interlinked.